If you’re looking for easy, quick and cleansing fruit-infused detox waters, here are the best recipes to try and enjoy often (drink daily!). This is a light and simple version of detox water that still uses powerful ingredients. Both ginger and lemons help your body to naturally detox. Lemons have a diuretic effect, which helps toxins to be released from the body. Ginger also aids in boosting your metabolism. 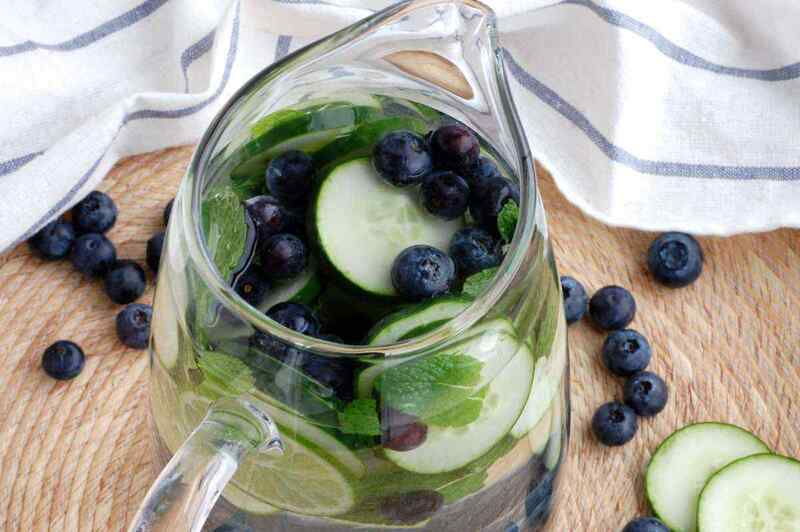 This recipe has one of the mildest flavors for detox water. 1. Combine all of the ingredients together in a pitcher. Place in the refrigerator to chill for 1 hour before serving. Serve cold with ice if desired. 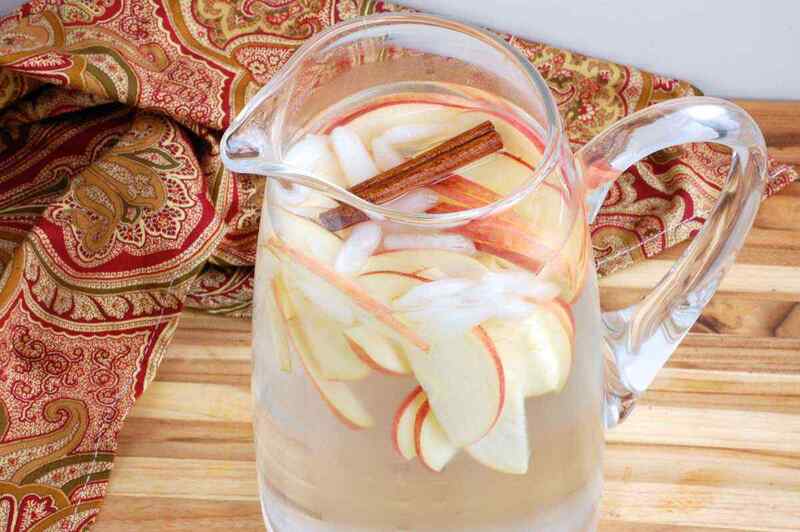 This simple detox water can make any day feel like the fall. Both apples and cinnamon can help to raise your metabolism. Plus, you know what they say about an apple a day. Use cinnamon sticks rather than ground cinnamon, which clogs the water. Sweet apples such as Fuji work best for the recipe. 1. Add all of the ingredients into a pitcher and gently stir. Store in the refrigerator to chill for 1 hour before serving, or overnight for best flavor. Serve cold, with ice if desired. Staying well hydrated is important for dieting and weight loss. Luckily it’s easy to drink more water when it tastes this delicious. 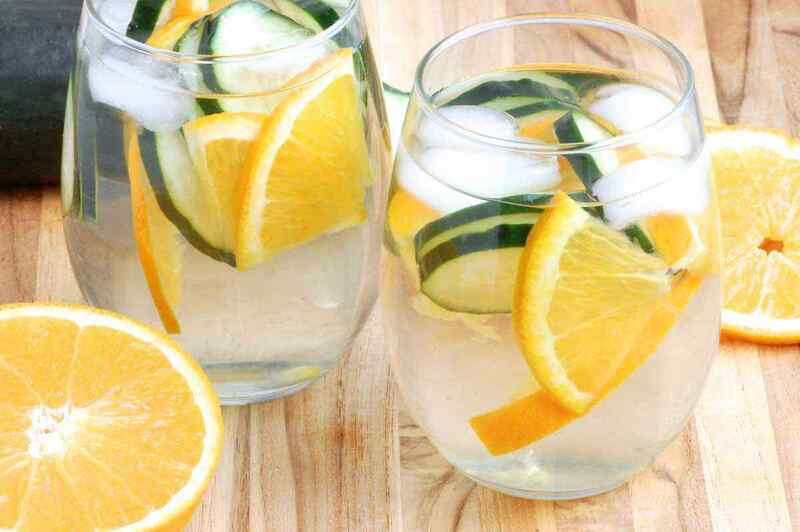 In this recipe, cucumbers and oranges are used to infuse the cold water. Besides providing a large dose of vitamin C, this detox water also helps to flush toxins from your liver and kidneys. 1. Add all of the ingredients into a pitcher and gently stir. Store in the refrigerator to chill for 3 hours before serving. Serve cold with ice if desired. Overcome the hot days of summer by staying well hydrated. 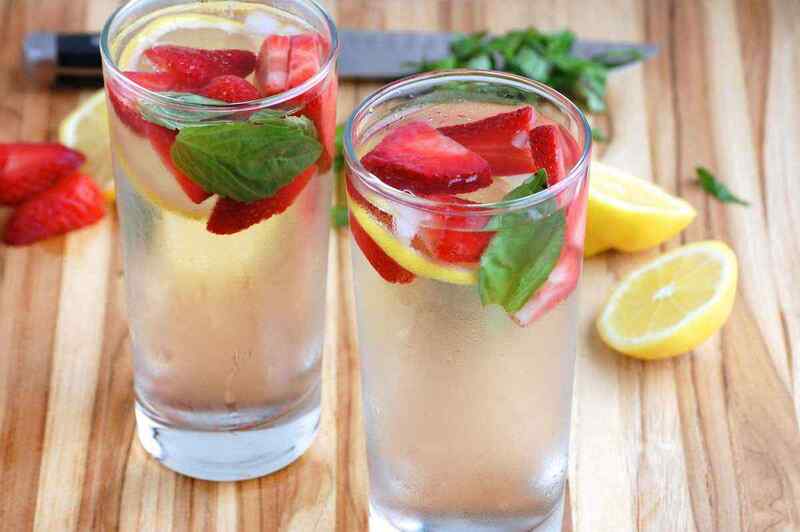 Strawberries, which are abundant during the summer, are added to this detox water to provide vitamin C and improve skin health. In addition, lemon slices are included to stimulate digestion. 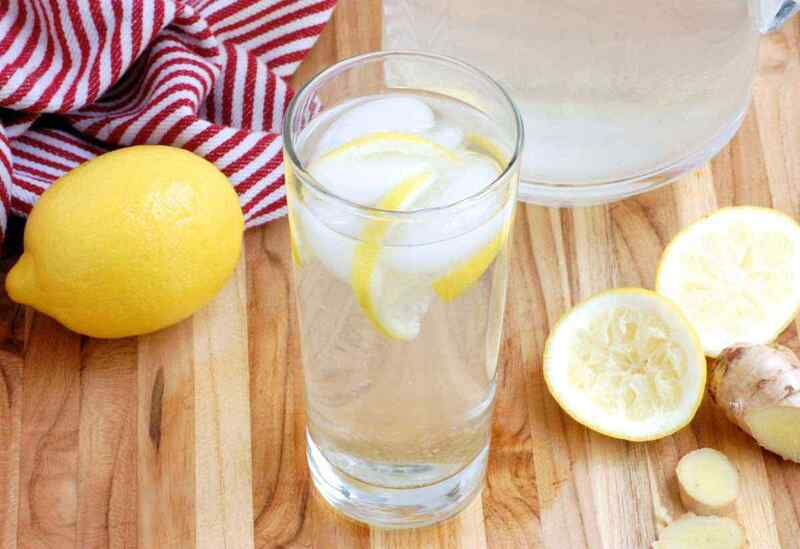 The ingredients add a lot of flavor to plain water without adding calories. 1. Add all of the ingredients into a pitcher and gently stir. Store in the refrigerator to chill for 1 hour before serving. Serve cold with ice if desired. Blueberries are extremely rich in antioxidants, which makes them a great addition to your regular water. Cucumbers, lime, and mint are also included in this recipe to boost your body with additional nutrients. If you like, you can lightly muddle the blueberries for a stronger flavor. 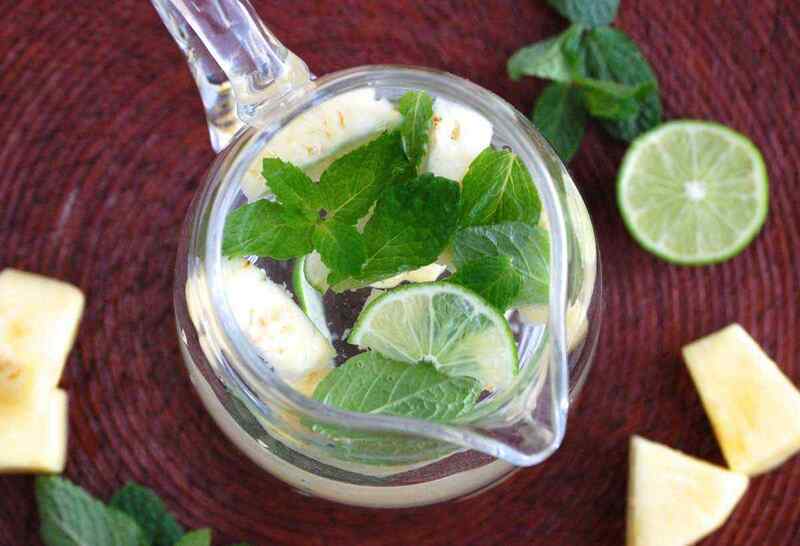 For those people with an ever-present sweet tooth, try this refreshing detox water infused with pineapple and mint. Besides tasting deliciously sweet, pineapple has anti-inflammatory properties and boosts your metabolism. Mint is also helpful by supporting the digestive system. Slightly muddle the ingredients before adding the water to this recipe. 1. Place half of the fresh pineapple and mint in the bottom of a large pitcher. Gently muddle. Add the remaining ingredients, including the water, into the pitcher and gently stir. Store in the refrigerator to chill for 1 hour before serving. Serve cold with ice if desired. 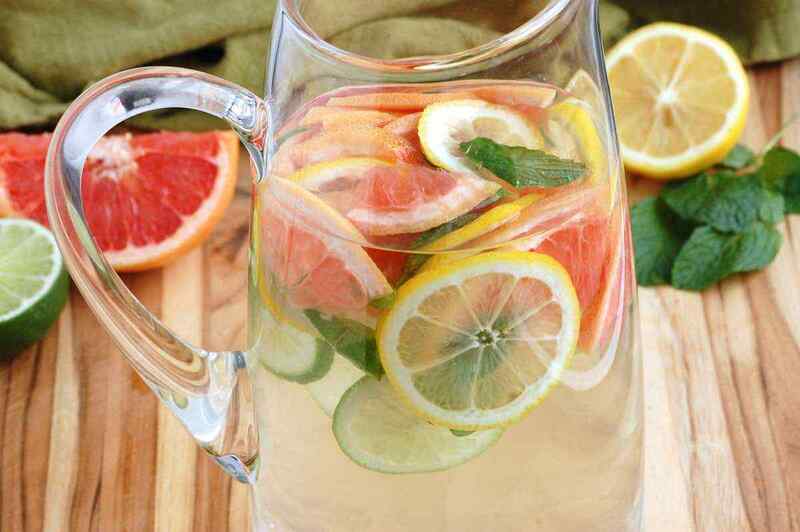 Citrus fruits contain numerous natural health benefits, which is the reason this detox water is packed with them. Grapefruit, lemon, and lime provide plenty of vitamin C and help to detoxify the kidneys. The fruits also lend a bright, tart flavor to the water. Discard the water after one day if it is not gone. Cleanse and detoxify your body while simply drinking a glass of water. By including a few extra ingredients you can help to flush out toxins and aid digestion. 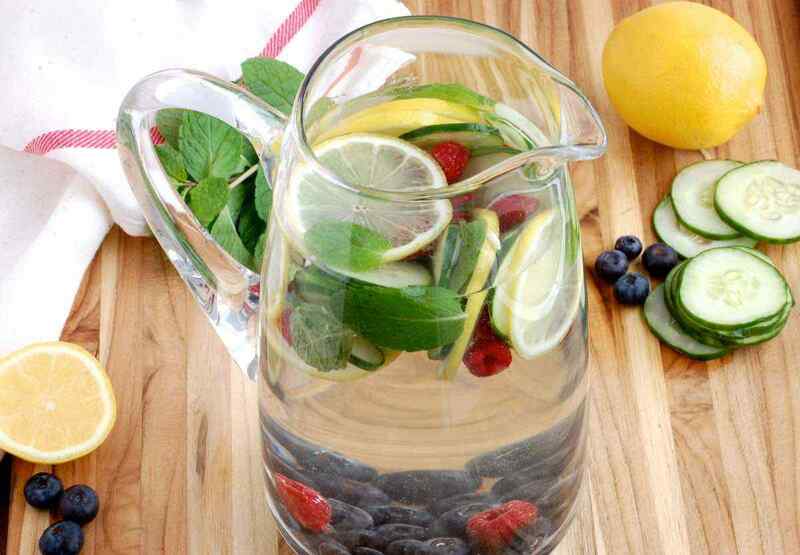 Stay hydrated by starting your day with this morning cleanse detox water. Blueberries, raspberries, cucumber, lemon, and mint all add a huge boost of flavor. 1. Combine all of the ingredients together in a pitcher. Place in the refrigerator to chill for 1 hour before serving. Serve cold, with ice if desired.